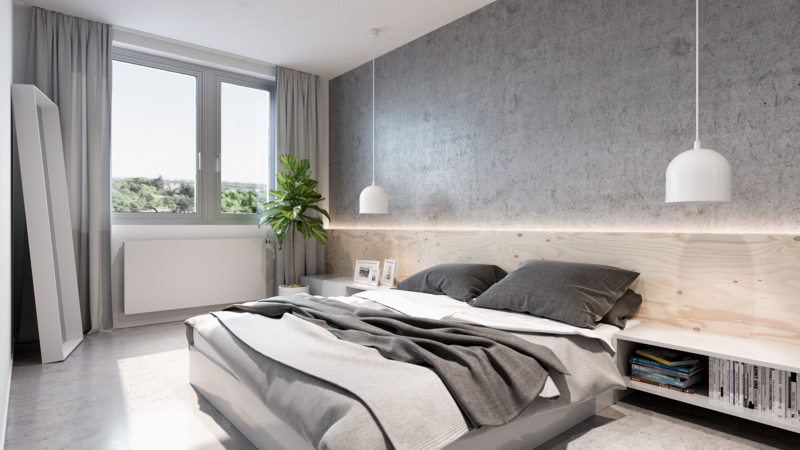 Experience modern living in this newly emerging residence set in a quiet and green part of Libeň, complete with beautiful views of Prague, including dominant landmarks such as the Prague Castle complex and Žižkov Tower. 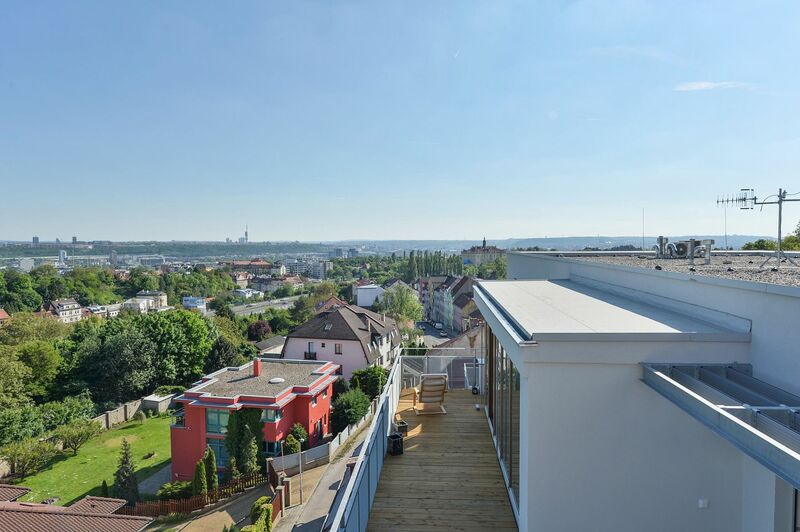 A pleasant residential location within easy reach of all public facilities including the Ládví metro station, and with a wide range of leisure activities nearby. 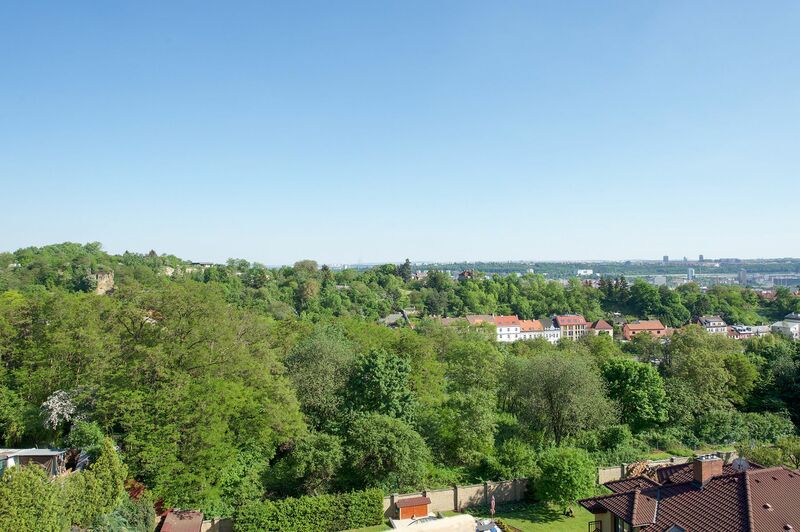 The surroundings offer excellent transport accessibility with easy connection to the Prague Circle and also a bus stop and metro station within walking distance. Just a few steps away is the Mazanka homestead with a newly emerging cultural and social center. A kindergarten and elementary school are available within a 12-minute walk. 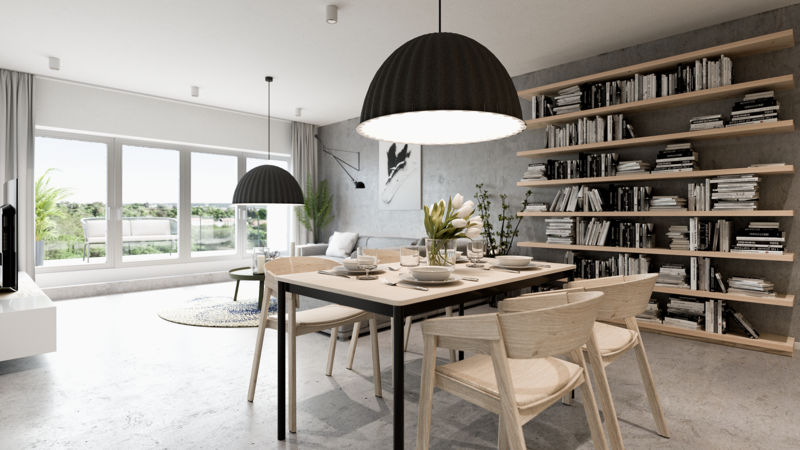 Apartments with one-bedroom to three-bedroom layouts and temporary residence units (1 + kk), with interiors ranging from 43 to 106 m2, will be spread over five floors in this residence. Most of the units offer a balcony or a more spacious terrace. 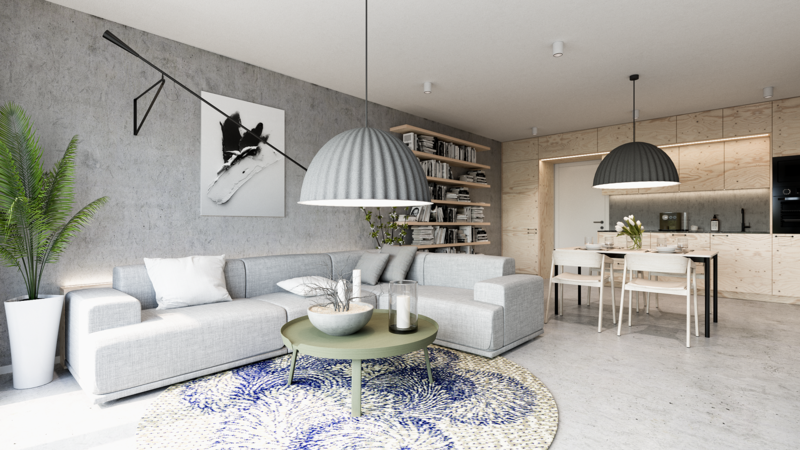 The purchase price includes a cellar unit; garage parking space in the underground garage at extra cost: private 338 800 Kč / in an automatic parking system 235 950 Kč. Furnishings include large-format ceramic tiles, laminated floating floor, noise reducing wooden windows, preparation for electric blinds, fire-proof entrance doors, Villeroy & Boch and Grohe sanitary fittings, preparation for kitchen lines and home videophone.